Campus Resource Centers | Colorado Mesa Univ. 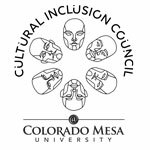 As the cultural hub of western Colorado, Colorado Mesa University values a respectful and safe campus culture, free of violence, abuse and intimidation or discrimination. The following CMU initiatives help us meet these standards. The student-led Cultural Inclusion Council strives to promote and support the ethnic and cultural groups on campus by providing educational resources and support services. Educational Access Services collaborates with students, faculty, staff and community members to create an accessible higher education community. MAVrides is a student-operated organization that offers FREE rides to CMU students on Fridays and Saturdays from 9pm to 3am. CMU's professional mentors actively engage students of all backgrounds and help them work through the challenges that they will face in their college career, in and out of the classroom. CMU offers a Safe Walk Program designed to provide safe travel around campus for students, faculty and staff. Trained Campus Safety Assistants (CSAs) are available to walk you safely anywhere on the main campus and up to two blocks off-campus. This service is available daily from 6pm-2am. To contact a CSA, call 970.260.2683.